All Franchise Categories » Car Bodywork Repair Franchises » Revive! The Revive Franchise will only award territories to those they believe have the ambition and desire to expand their SMART Repair Business. All new franchise owners undertake an intensive training programme. Therefore no experience of the automotive refinishing industry is necessary. Established in 2004, Revive! provides a mobile solution repairing cosmetic damage to vehicle paintwork such as kerbed alloy wheels and bumper scuffs. This is an exceptional business building opportunity. Revive! 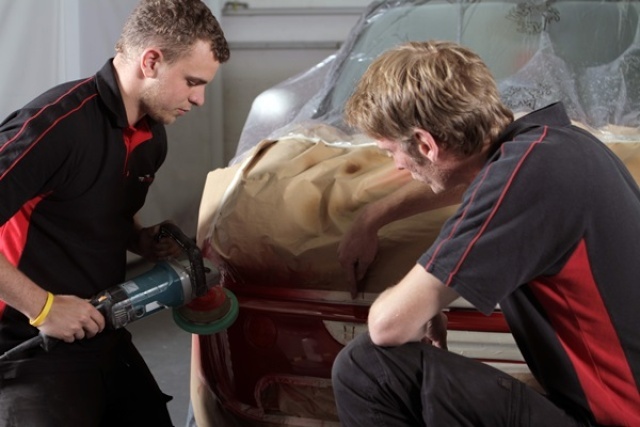 Franchisees provide a vital service in the SMART auto-repair industry, repairing damage to car and van paintwork including bumper scuffs, bonnet chips and refurbishment of alloy wheels. Revive! work in partnership with their franchise owners and have built the most credible team of accredited ‘Cosmetic Repair Technicians’ in the country. Revive! franchisees undertake an intensive four-week residential training course at the IMI approved centre followed by a week of supported launch training. However, the learning does not stop there; continuous and tailored training from alloy wheel programmes to business growth workshops are readily available to franchisees at any time. Included in the Revive! franchisee package is a one week business launch with an experienced member of Revive!’s business development team who will serve as a mentor helping to generate work in your designated territory from day one. Winner of the HSBC award for Franchisee Support in the bfa/HSBC Franchisor of the Year Awards and Cambridge franchisees won the bfa/HSBC Franchisee of the Year Award in 2016. Ranked 9th in the Elite Franchise Top 100 in 2017. Revive! run the largest team of accredited SMART repairers in the UK, providing mobile paint repairs to the automotive sector. All franchisees and their technicians are encouraged to follow the path in becoming industry experts through QAA and ATA accreditation systems. Revive!’s award winning support is extensive and includes the national accounts programme, customer services team, a full bookkeeping service and first class technical training and support. Working from fully equipped mobile workshops, Revive!’s highly skilled franchise owners offer a cost effective and convenient alternative to the traditional body shop repair. Te service provided is often referred to as a SMART Repair (Small to Medium Repair Technique) and has been adopted by all types of vehicle owners including car dealers; fleet managers and the general public – and with over 30 million vehicles on the UK’s roads the demand keeps on growing! Revive! franchisees come from a range of backgrounds, past experience in the auto repair industry is not needed. With comprehensive, fully certified training, Revive! provide you with an unsurpassed standard of skills and knowledge, which in turn will ensure you have every opportunity of achieving your potential and future business aspirations. Territories are large enough to allow you to expand to at least 3 vans and some single territory franchisees have 5 or more, with their largest, multiple territory franchisee operating 10 vans and a static site, employing 18 people. Being mobile allows you to keep your overheads low whilst offering convenience to your customers and Revive! 's award-winning support is aimed at helping you to grow your business as quickly as possible. Revive! services are highly valued by their trade and retail customers alike and this gives their franchisees more scope to build a substantial business. All this means that as a Revive! franchisee, you have the best possible opportunity to grow your business into a multi-van operation with a range of customer groups to target, as well as the national account business we provide you with. With a Revive! auto repair franchise, you have the opportunity to build a business, Revive! is so much more than a ‘man in a van’ franchise. The Revive! Franchise investment fee is £27,500 + VAT but with bank support most new Revive! franchise owners begin with between £10,000 and £15,000 of their own money to invest. Award winning support, including bookkeeping, IT and Marketing, as well as our Business Development team helping you to grow. National Accounts programme, delivering fleet, insurance, hire and major dealership work straight to you. The specially adapted mobile workshop is usually financed on hire purchase. Find out about the Revive! Discovery Days if you are serious about growing a business; driven to provide outstanding service and prepared to work hard and grow your Vehicle Cosmetic Repair Business to multi-van operation. Find out about the Revive Franchise and owning your own SMART Repair Business. Click below now!